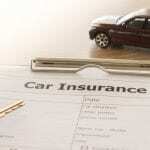 Let our auto insurance agency assist you so you can make an informed decision about the right policy for your needs. At Curtis Helms Insurance, we offer a superior level of service when you contact us for auto insurance. As a full-service auto insurance agency, we can assist you with everything from personal car and truck insurance to commercial fleet insurance. We can also provide you with coverage for specialty situations such as high-risk auto insurance and Uber/Lyft insurance. Whether you are looking for liability or full coverage auto insurance, we take the time to discuss what liabilities you are covered for and the various deductible and coverage amounts you can choose from. We believe an informed customer is our best customer, so we will provide all the information you need to make the best decision for your situation. No two people are the same in terms of budget and risk tolerance, so we believe it is our responsibility as a trusted auto insurance agency serving Charlotte, North Carolina to provide personalized service. In most cases, we are able to provide you with auto insurance coverage on the same day, and many times within minutes if you already know what you require. We are happy to comply with your time constraints when necessary or arrange a consultation for more complex situations. If you are new to auto insurance, rest assured that our auto insurance agency will take the time to bring you up to speed, so you can choose coverage that gives you peace of mind. If you have any questions, don’t hesitate to contact our auto insurance agency for assistance. Our knowledgeable and friendly staff is happy to help you in any way we can.